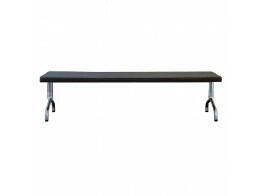 Après Furniture offers a wide selection of quality soft seat benches. We supply bench seating with innovative designs; benches don't have to be linear, they can be just about any shape and size. Upholstered benches make ideal contemporary seating for guests and clients to use in your waiting rooms, corporate lounge and reception areas. 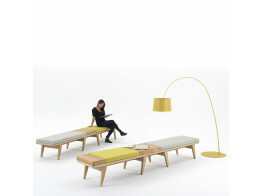 Mylo Bench is a solid wood seating solution that is extra deep for comfort, allowing users to sit back-to-back. 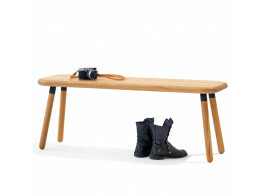 L15 Honken Bench can be used as a seating solution or as a coffee table. Part of the wider Honken range. 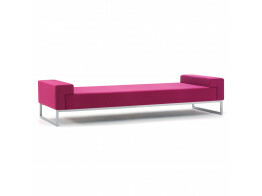 Dundra Sofa S74 is a upholstered stackable bench seat with steel rod led base. Teal Seating is fully upholstered with an internal beech and plywood frame. Features highly resilient foam. 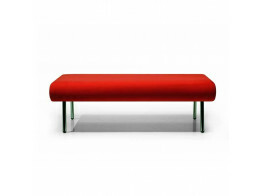 Ono Bench is contemporary seating for any modern reception or waiting area. Available in 2 lengths. 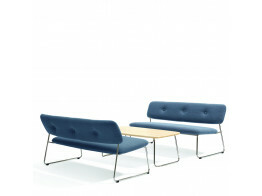 Orbis Bench is ideal for corporate reception areas, complementing the Orbis Armchair and Orbis Sofas. 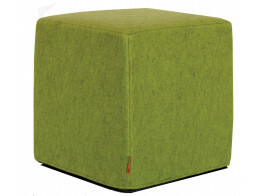 BuzziCube Flat Stool & Benches come with the option of castor wheels, wooden feet or antiskid underside. 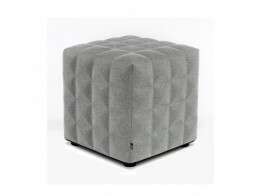 BuzziCube 3D Stool & Benches with no fewer than 7 different shapes to choose from.